Drawn by Faithorne, published by Newcourt and reproduced by the London Topographical Society in 1905. 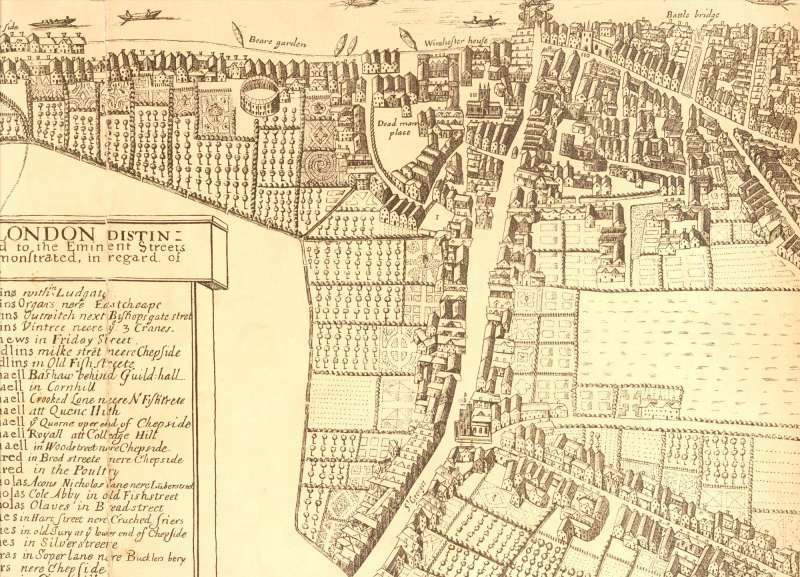 This map clearly shows the shape of the ancient town of Southwark. 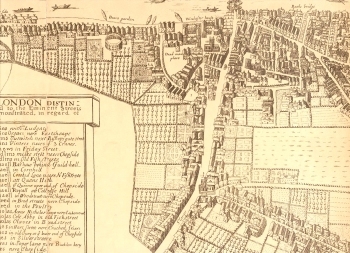 It was made up of five main roads: Borough High Street running south from London Bridge; Kent Street running south east from Borough High Street; Tooley Street heading east from London Bridge; Bermondsey Street running off Tooley Street; and finally, Bankside heading west along the riverside and ending in the marsh. Notice how development is concentrated on the higher and drier land east of the high street. Click on the map above for an enlarged image or click here for a larger, readable image.